When we think of research, we often think about something that is extremely clinical and boring. But research is an essential part of the work organizers do; it’s just done a bit differently. For organizers, research focuses on finding solutions to issues that their communities experience.The researchers are personally connected to the issues that they are trying to solve--that’s powerful! Stephanie, an ECO member at GreenRoots in Chelsea, Mass., tells the story of her community surveying experience. Youth-led research, what some call participatory action research, is unique because the researcher is personally invested in the issue. Youth leaders don’t just want to know that the problem exists; they are looking for actionable solutions. Test theories and challenge assumptions. Research allows you to see if your lived experience and perception is true on a boarder scale. Usually, research unearths new information. Create solutions and campaigns that are strategic. Conducting research allows you to deeply understand the needs of your community and design solutions that build community power. Move from opposing to proposing. Research can help expand a campaign beyond opposing something undesirable to proposing something new. Gather a range of perspectives. Especially when organizers are working in smaller groups, it’s important to ensure you’ve included perspectives beyond your group. Strengthens community buy-in. When the community is involved in creating solutions, there will likely be greater interest in being a part of making those solutions possible in the future. So you collected the data. What happens next? Analyze the data. Report the data back to the community. And most importantly, take action. Example? 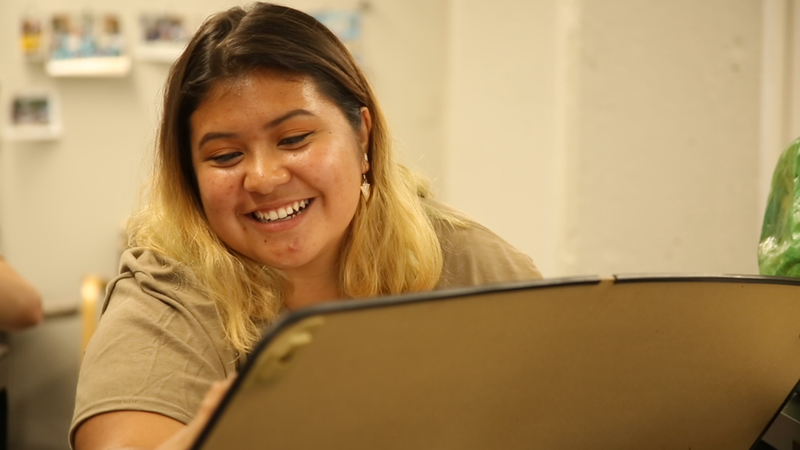 Imani from Urban Underground and her peers created a survey that led them to design an app that shares information about how to get involved for youth in Milwaukee. Research doesn’t always have to be dry and boring. It is about meeting new people and learning about their interests, concerns, and dreams. Of course, there are parts of it that can get tedious, but once it all comes together, it’s transformative.